These are some of the best quality rear control arms you’ll find on the market at a great discount price! They are built tough with great looking powder-coated finish and superior quality bushings. These control arms increase your traction by eliminating wheel hop. Engineered for easy bolt-on installation with no welding, and manufactured from heavy gauge steel tubing for strength, eliminating flex common with stock control arms. * Same quality as other top brands control arms but won’t cost you an arm and a leg! * Retail Price: $250+, BLOWOUT SALE!!! 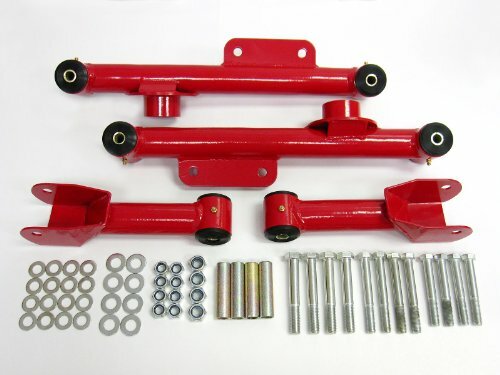 Same quality as other top brands control arms but won’t cost you an arm & a leg!